... RTC meaning "Robotic Tool Change"
More info: view "download brochure" at page bottom. Subscribe to get PAL SYTEM "IngeniousNews"
Fast Wash Module and four Valve Modules. The PAL RTC with Robotic Tool Change is the logical (r)evolution of the successful PAL product line. Sample prep prior to Chromatography is no longer the bottleneck – Automate your sample preparation and sample injection - all in the PAL RTC. 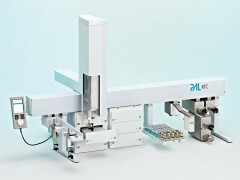 The new PAL RTC is a robotic platform for efficient automated sample preparation steps. With the robotic tool change the PAL RTC increases productivity and widens the application range by using up to six different syringe types even in single cycle. The autosampler changes between Liquid Injection, Headspace and SPME methods within one sample list and without the need of manual operationin less than 30 seconds. The optional Vortex Mixer and different syringe volumes are the door opener to automate your sample preparation steps. 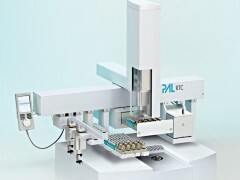 Liquid-liquid-extraction, derivatisations, standard addition and dilution by hand is no longer required – with the PAL RTC you choose the right tool for your needs. 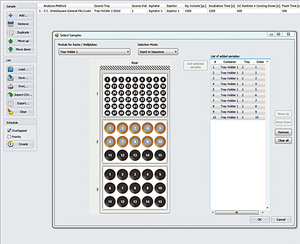 The PAL RTC is controlled by the unique PAL Sample Control software. It is applicable with more than ten major CDS and MS-Data Systems. The possibilities are endless – the limit is your imagination. 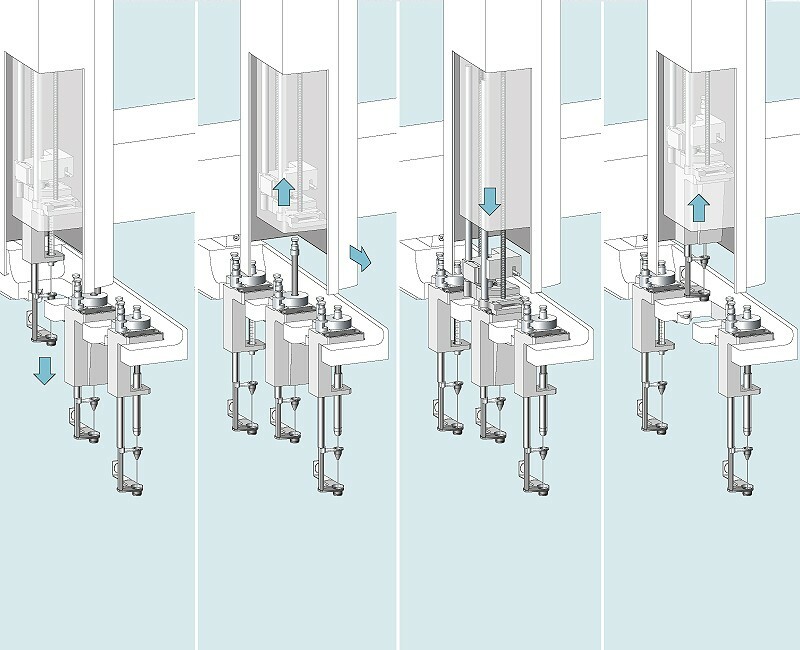 Robotic Tool Change - increases laboratory productivity and widens application range by using up to six different syringe types even in single cycle. Increased vial capacity - extended working range for y-axis enables processing up to 100% more sample in a single tray holder. 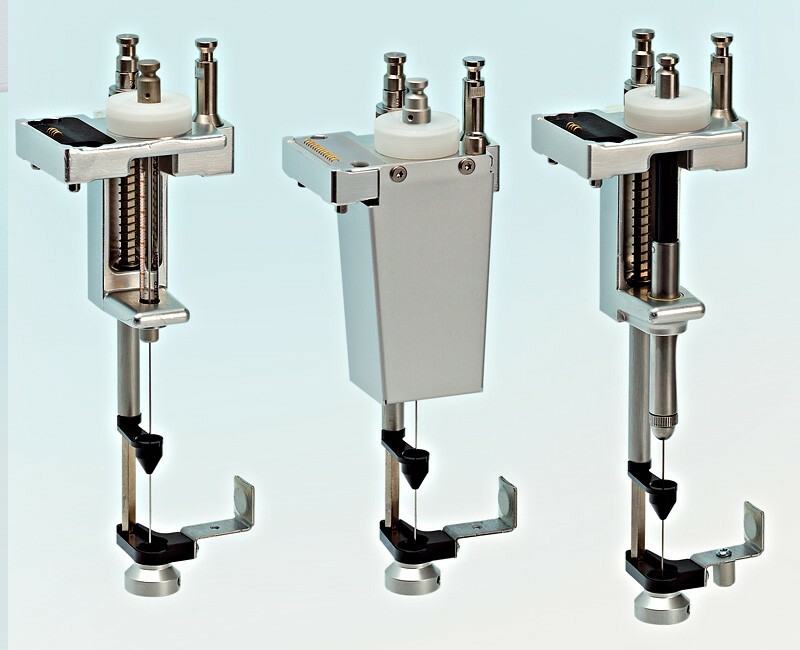 Bottom sensing - allows reliable aspirations of small sample volumes even out of a few microliter samples. 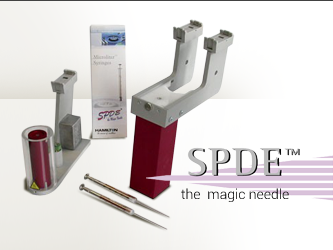 Position detection - definable z-tolerance for detection of correct injector position or missing vials. 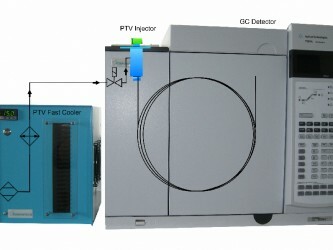 Cold needle injection - faster GC injection times down to 100ms. Vortex mixer - efficient mixing during liquid homogenization and extraction steps. 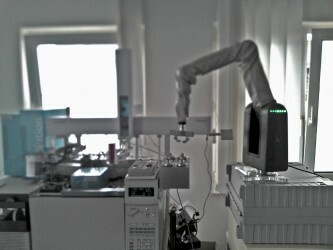 The unique Park Station allows a robotic tool change (syringes with different volumes or different tool types) for advanced sample preparation, liquid handling (dilutions), derivatisation steps or any other time consuming repetitive step. The additional versatility in combination with the increased volume range are significant benefits and allow the definition of flexible tailor-made automation processes. 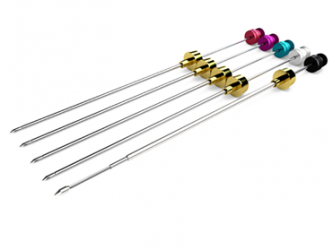 Supports 57mm or 85mm syringe needle lengths. PAL Sample Control is the control software for efficiently automating any sample preparation steps with the PAL RTC robot systems and will be delivered with every system. Numerous interfaces, for example to Xcalibur, ChemStation, Analyst and MassHunter, guarantee integration into existing chromatography data systems (CDS). The software exchanges data with other systems and controls all of the processes. Based on intelligent time management the software considerably increases the throughput of the analytical systems. While the analysis is running the next sample preparation is already taking place. The software truly simplifies sample prep by making many of the tasks such as creation of methods or sample lists very easy.